UFC lightweight champion Conor McGregor is hellbent on boxing Floyd Mayweather Jr. in his next outing, and anyone that tries to get in his way of arranging the superfight will automatically become an enemy. Apparently, that includes the UFC, who made him the sport’s highest-paid fighter in a matter of four short years. McGregor hosted a pay-per-view interview over the weekend and took aim at the UFC on his way into the venue. Not one, but McGregor tried to take two digs at the UFC. The first one is incorrect, as Saturday’s UFC on FOX 23 event inside Pepsi Center in Denver actually garnered 13,233 fans in attendance. We’ll just file that error under alternative facts. 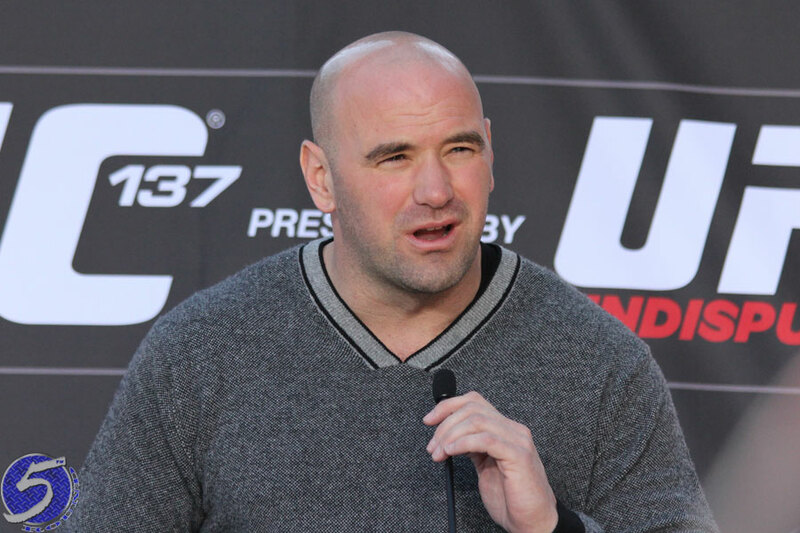 UFC president Dana White (pictured) and McGregor initially appeared to be headed down the BFF road, but McGregor began his tradition of attending pre-fight press conferences late, if he attended them at all (Please see: UFC 200), and started to publicly demand bigger paydays, and now their relationship is strictly business. Initially, White could do nothing but chuckle when he heard what McGregor was saying from across the pond. Then he got serious, warning McGregor that going head-up against the UFC would not turn out well for him. White was unsure when asked if he thinks McGregor would dare go down that road with the UFC. This is the sternest message White has ever issued to his brash cash cow. McGregor believes that under the Ali Act, he and his newly formed McGregor Promotions would be able to arrange a boxing match with Mayweather without the UFC’s involvement. However, he noted that it would be “smoother” to keep the UFC in the mix. Although White offered each fighter $25 million plus a cut of the event’s pay-per-view buys two weeks ago, he doesn’t believe the scrap will ever come to fruition. White said there has been no counter from Mayweather after he scoffed at White’s offer.